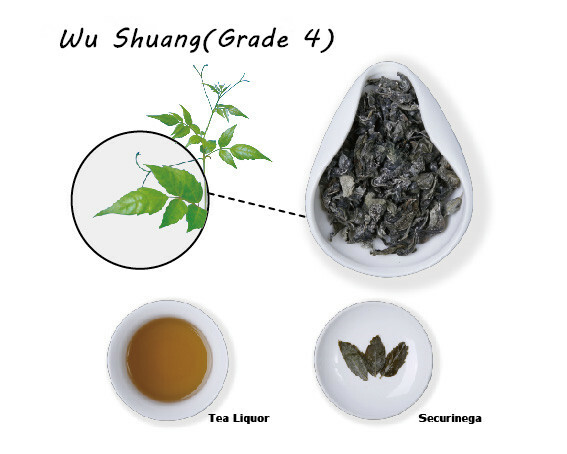 [Ingredients] It is made of ripe leaves of Moyeam plant. [Feature] Thick green leaves with strong and brittle stems, curled into a spiral,a thin layer of white frost, lasting fragrance with little grass smell. [Tea liquor] Deep orange , taste some bitter and following strong sweet,insecure looks fat and verdant. [Brewing Method] Put 3- 4g tea into the cup, steeping it in the boiling water >95℃ for about 2 minutes. Then filter the tea water out into another tea cup.No need to clean the tea, suggest to make twice.